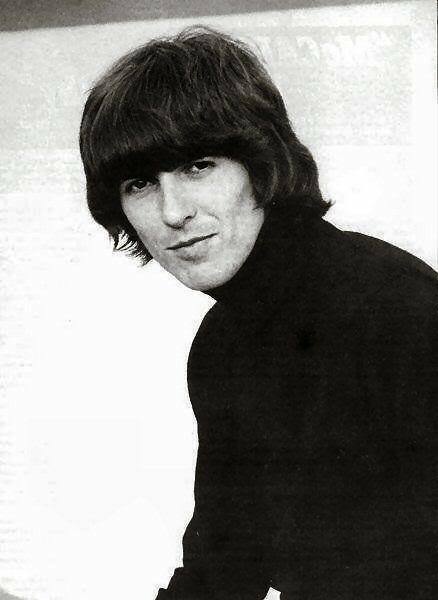 Of all the members of The Beatles I think George would be my favourite. Perhaps its because of the films he produced and the fact that he worked with Jeff Lynne, a musical hero of mine. He also wrote some pretty good tunes after he left the group. As my interest is predominantly involved in discovering any Welsh ancestry of The Beatles I was curious whether George had any. As with John Lennon, there are Irish roots in George’s origins and of course English, through the Harrison line. However, it is through his mother, Louise French (1910-1970) that he has those Irish and Welsh genes. Louise French was the daughter of John French and Louise Woollam, and it is through the Woollam line that George gets his Welshness from. Louise’s father was John Woollam, a native of the parish of St Martins in Shropshire. Her mother was Jane Daniels, John’s second wife, and according to an Ancestry.co.uk tree, they were married on the 25 November, 1872 at Widnes, Lancashire. I first discovered John Woollam in the 1881 census living at Virgin’s Lane, Little Crosby. This interested me because I used to visit the area when I was involved in recording listed buildings at risk, and other conservation work whilst I was employed with Sefton Borough Council. Back in the early 90’s I could be found walking through the little settlements of Thornton, Ince Blundell and Lunt listening to the music of Rush on my walkman. Little did I know that I was waliking in the footsteps of George Harrison’s great grandparents! In the 1871 census we find John a widower living in a lodge at Little Crosby Hall, employed as a gardener, living with his children, John and Margaret, his brother Henry, and a servant, Lydia Daniels, born in Prescot, Lancashire. Could this be a sister of Jane’s? I suspect it is. In that 1881 census, John and his new wife are the parents of three more children, George, Walter and Louise, destined to become the grandmother of George Harrison. So, where is the Welsh connection? We must research another generation of George’s family tree and find them in Shropshire, the homeland of John Woollam. John was the son of Roger Woollam and Ann Swallow. They were married on 30 May 1835, probably in Denbighshire, where Ann was born. According to the 1851 census, her place of birth was stated as Llansannan. So we find (at last) George’s Welsh ancestor, with a surname that would not appear to be typically Welsh. Ann was born March 13, 1811 and was the daughter of John Swallow and Benedicta Edwards, of Dyffryn Aled, and a quick check on Google maps places it near Prestatyn. John and Benedicta had at least another child, John, born 24 Apr. 1809. Frustratingly I cannot find anything beyond Benedicta even though she has a Welsh surname. Her name intriques me and I would love to find out more about her. Where does this surname Swallow originate? How did it arrive in Denbighshire? I tried to find this out but I had little success. The only bits of information I could find was that it may have originated in Lincolnshire, because of a river with the same name. One thing for sure it probably evolved to become Swallow, and previous incarnations include, ‘swaluwe’ which is medieval English for, you’ve guessed it, swallow, or de Swallwe and Swalowe and Swalough from the late 14th century. With a surname like Swallow I had assumed that it would be relatively easy to find more individuals from this family, especially in Denbighshire. Not so! The only one I found was a William Swallow who was christened at Holt in Denbighshire on 3rd Oct. 1781. His parents are listed as George and Elizabeth Swallow according to the Family Search website. The only way to find out more is to visit the archives, because the records for Wales on Ancestry.co.uk is pitiful. 10 Feb. 1810 Roger, son of Charles and Elizabeth Woollam, born 13 January 1810, Ifton. 7 Jul 1806 Charles Woollam, born in parish of Whittington, and Elizabeth Jones, spinster, lic..
It’s a good bet that these were Roger’s parents and perhaps that Elizabeth parents were from across the border. I found two more entries for baptisms for children of Charles and Elizabeth, namely, William Jul 10 1808 (born 22 Feb 1808), and Mary Mar 15 1812 (born 24 Feb 1812), both at Ifton. Expanding from this and not yet proven, I find a christening on the Family Search website for a Charles Woollam on 15 Dec 1778 at Whixall, Shropshire. His father is named as James Woolam (as spelt on the site). Whixall is in the parish of Prees, a few miles east of Ifton and St Martin. There is also a marriage in Prees between a James Woolam and Ann Williams on 6 Apr 1776. I must restate that these Family Search findings are speculative but nevertheless worth checking out one day. Going further (speculatively of course) there is a christening for a James Woolam on 11 Nov 1744 at Whitchurch, Shropshire, parents John and Martha Woolam. These places are located in roughly the same area in Shropshire and totally plausible for them to be connected.